As Hollywood declares ’Time’s Up’, female leaders from around the world are adding their voices to calls for bolder steps towards inclusion, to create a shared future for all. Female leaders have been filmed to coincide with the World Economic Forum Annual Meeting 2018, to encourage all women to ensure their voices are heard. 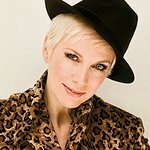 Among those who have filmed videos are Annie Lennox, Christiane Amanpour, Helen Clark, and Deborra-Lee Furness. To see all the videos, click here.